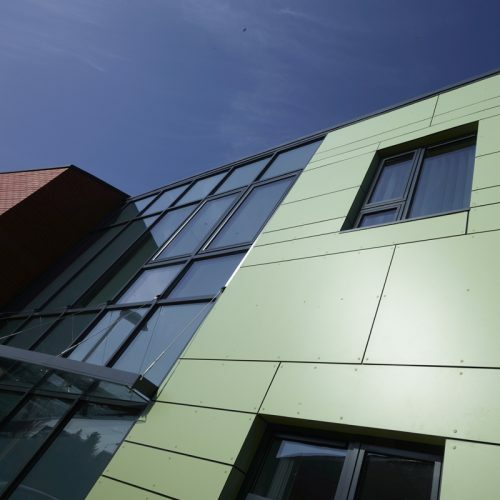 QAD were commissioned to carry out initial feasibilities to inform a competitive bid to provide a new medical centre to replace existing outdated facilities within Standish. 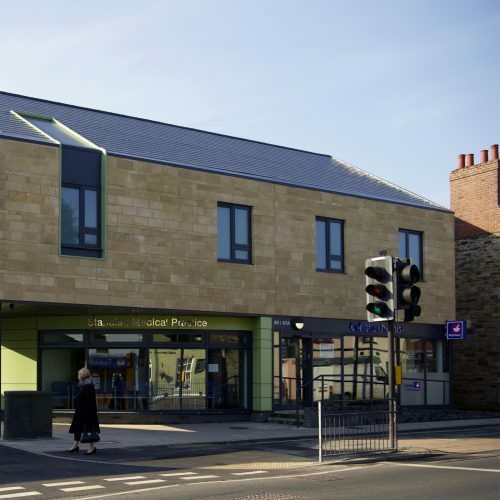 As part of the Ashton Leigh & Wigan Primary Care Trust estates policy, it was proposed to relocate the existing medical practice and create a new integrated Primary Care Centre to provide ﬁ t for purpose healthcare for an anticipated increase in patient numbers from 11,500 to 15,000. 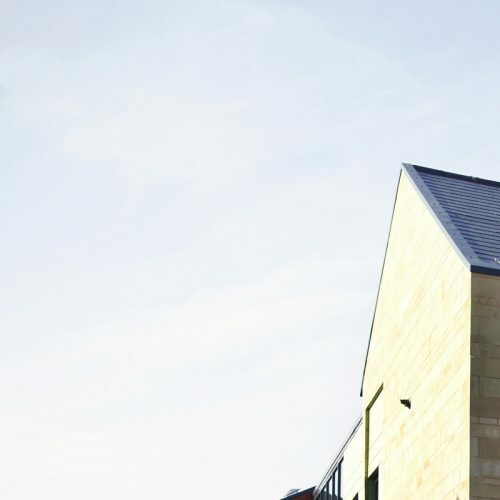 The new BREEAM ‘Very Good’ building s located at the heart of the town on High Street providing a high quality facility for the local community. 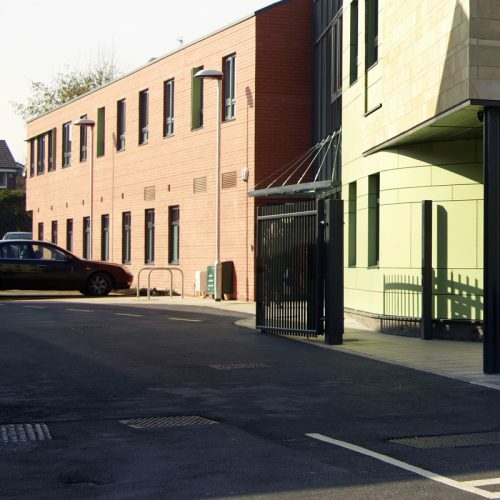 The site lies within a Conservation Area and was previously occupied by a two storey clinic owned by the Primary Care Trust which was demolished to allow for the new integrated development. 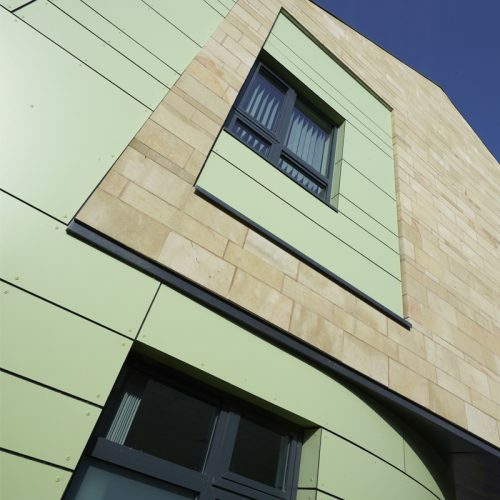 The new primary care centre consists of two storey accommodation and accommodates up to 9GPs, and 10 other medical professionals with associated consulting rooms and administration areas. 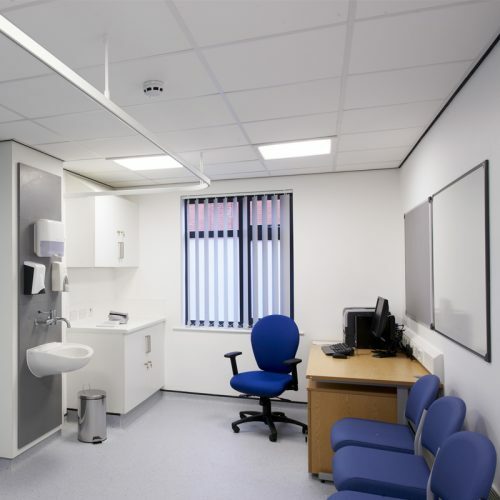 This allowed for the existing facilities at Standish Medical Practice to be accommodated whilst providing additional services currently not available in the area such as GP training. A pharmacy is also co-located within the building.